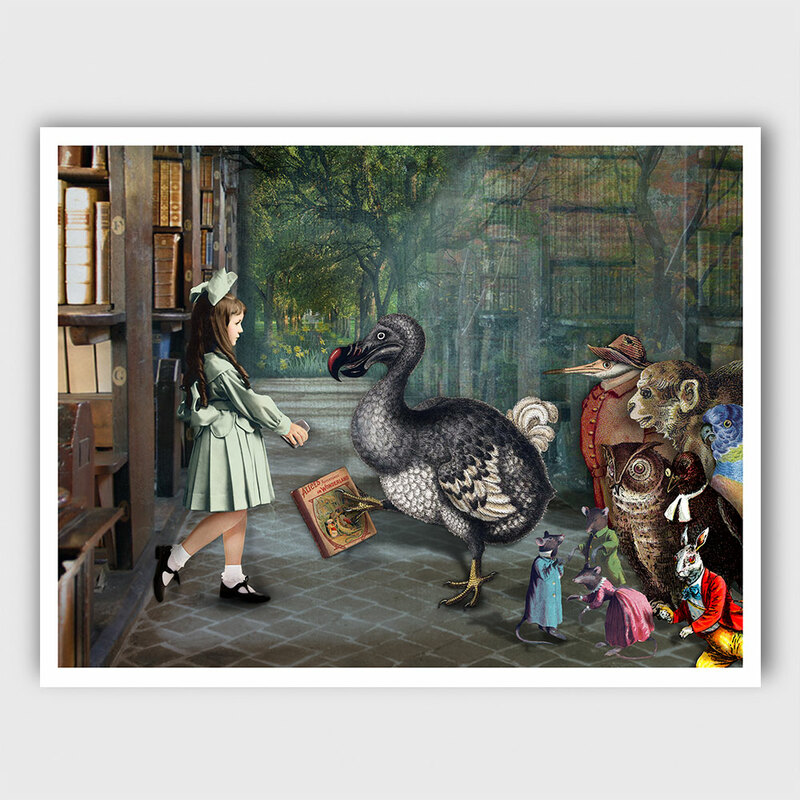 This giclée art print from my Fairy Tales and Folklore series is titled "Recruiting A New Alice". To create this illustration I used a mixture of traditional and digital painting and collage. I love the thought of these characters from various fairy-tales living in a perpetual state of wanting to relive their big moment. . .the 15 min of fame - if you will. Always on the lookout for another child to come around and play. This piece is one of many that came about from a fascination and appreciation of All things Alice. 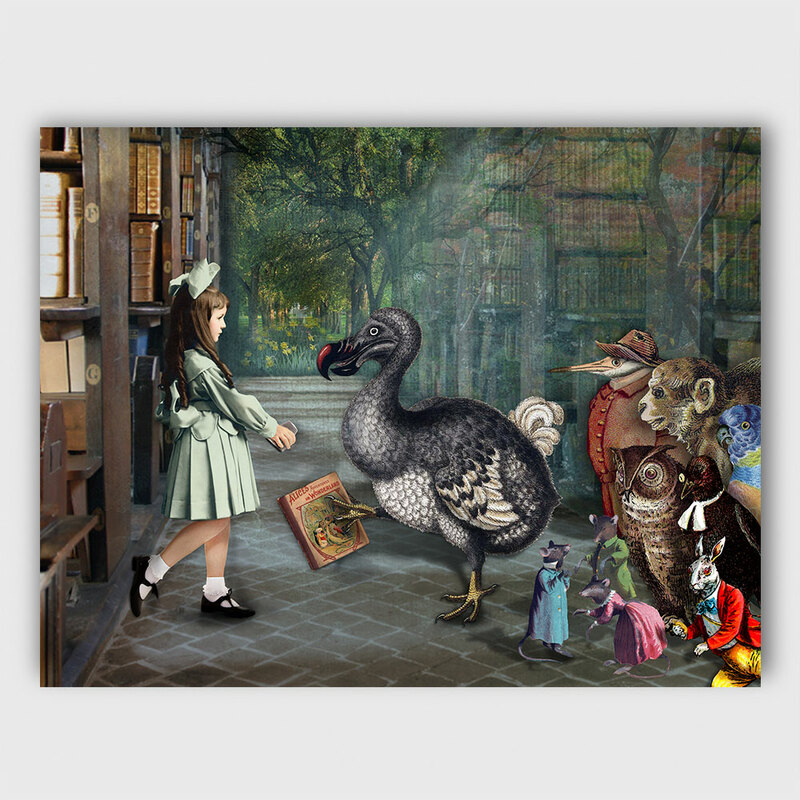 Over the years Tiffini has collaged, combined and composed dozens of pieces in various mediums from damaged and discarded vintage and antique books dedicated to all of Alice's experiences. 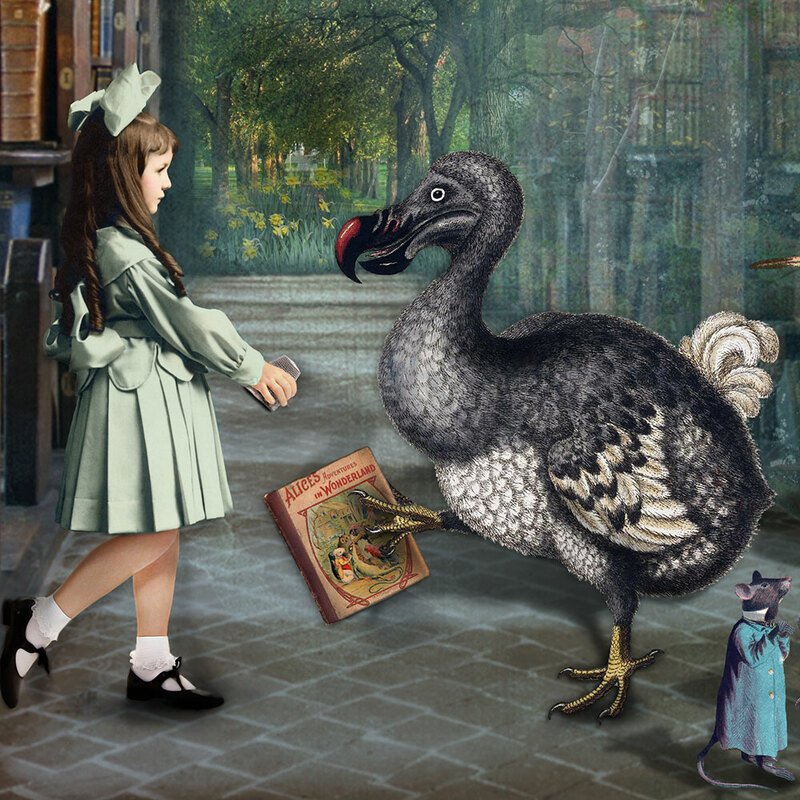 With her paintbrush or detail scissors in hand she has created these pieces as glimpses of her interpretations of these truly wonderful stories.